Now Playing at Now Resorts & Spas: Explorer’s Movie Nights! 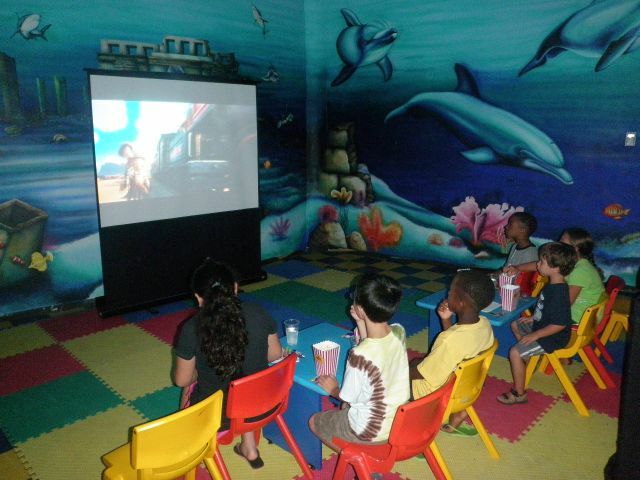 Various nights throughout the week, the Explorer’s Clubs at Now Resorts & Spas host a movie night especially for the children staying at the resort. 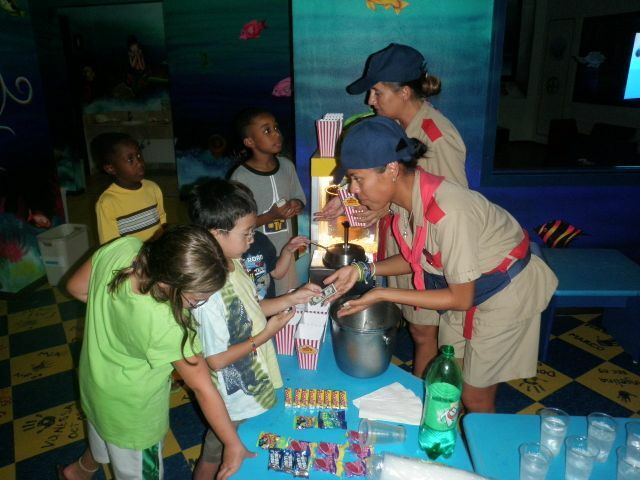 The resort staff turns the Explorer’s Club into a “Kids Theatre” with a real box office, movie tickets, and snack counter. 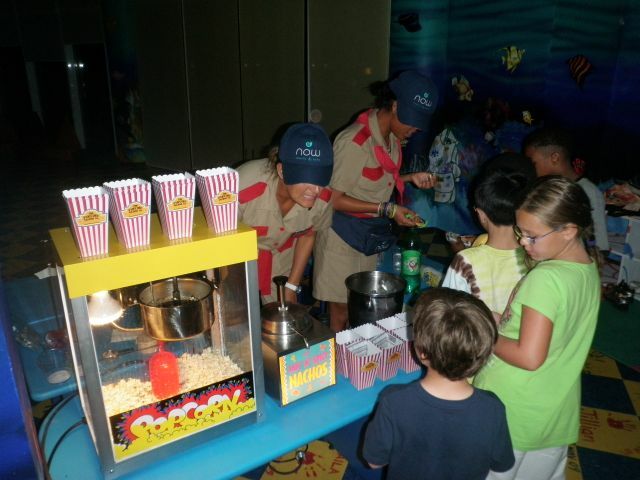 Upon arrival, the children are greeted by the movie ushers (Explorer’s Club team) and treated to a fun filled evening featuring the latest box office releases. 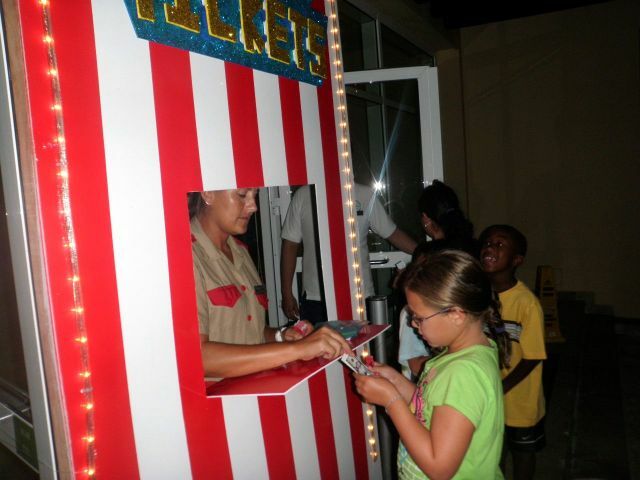 Children are given tickets to the show and enough play money to stock up on their favorite movie snacks at the candy counter. They can choose from popcorn, nachos, soda, or candy and more. Not only do the children love this fun activity, but Mom & Dad won’t have to feel guilty about a special romantic evening without the kids. Check out some pictures from a recent movie showing! 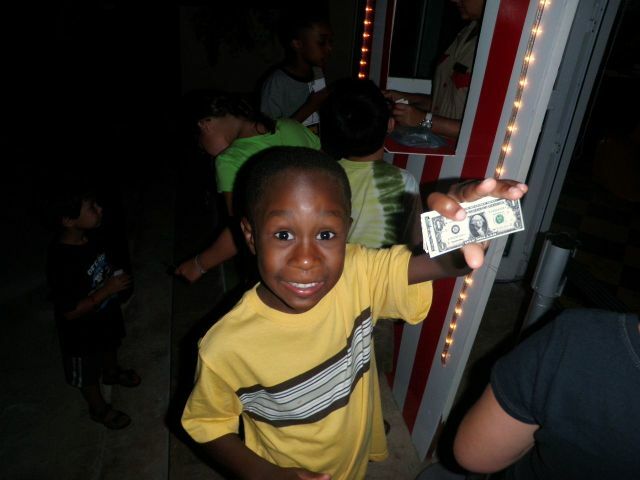 This entry was posted in Now Resorts & Spas and tagged explorer's club, movies. Bookmark the permalink. ← Now Sapphire is the Ultimate Pop Place!